Just In: Ondo assembly speaker resigns – Royal Times of Nigeria. The Speaker of the Ondo state House of Assembly, Rt. 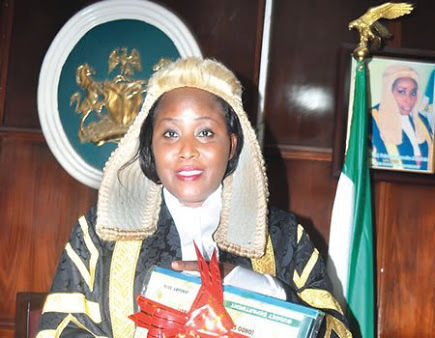 Hon Jumoke Akindele on Monday resigned from her position, Nigerian Tribune reports. Akindele, a member of the opposition Peoples Democratic Party (PDP) in the state stepped down along with five other principal officers of the house. The Governor officially received the letter of resignation which was signed by the former Speaker Akindele and five others which include, the Deputy Speaker, Hon Fatai Olotu, Majority leader, Hon Ifedayo Akinsoyinu, Deputy Majority leader, Vincent Obadiah, Kemisola Adesanya, the Whip and Towase Kuti, the Assistant parliamentary Secretary. Her decision followed a meeting brokered by Governor Rotimi Akeredolu at the weekend to bring an end to the crisis in the house between the two warring factions. The lawmakers said they resigned their positions to restore peace to the house. The officers stated in the letter that, “We the undersigned hereby resign our position as principal officers of this August House. “Our resignation has become imperative due to the fact of the new geopolitical configuration of the state, so that peace which is the hallmark of any administration will continue to reign in the land. The governor also reached an agreement with the other faction, led by Hon. Malachi Coker to dissolve its own leadership to ensure peace. Both factions are expected to meet in order to constitute and elect a new leadership by next week.